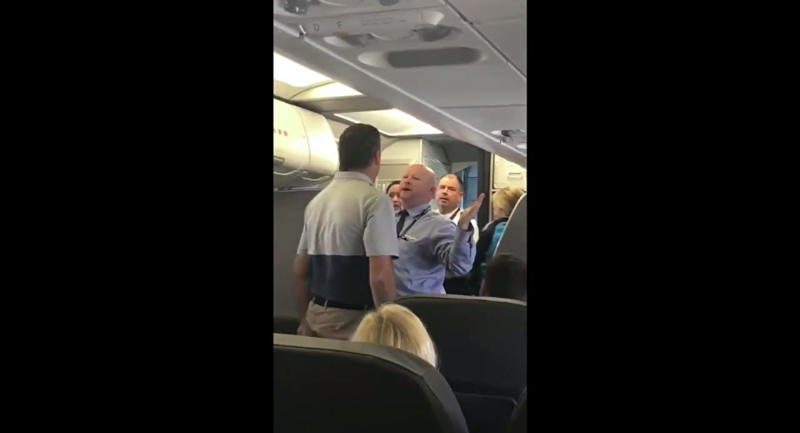 Another in the growing list of incidents of abusive behavior by airline employees has surfaced, this time in the form of a male American Airlines flight attendant who does not know the meaning of diplomacy. In a video posted by a fellow passenger, a woman with two small children is heard crying after an American Airlines flight attendant forcefully took away her stroller in a manner that caused the device to hit her. 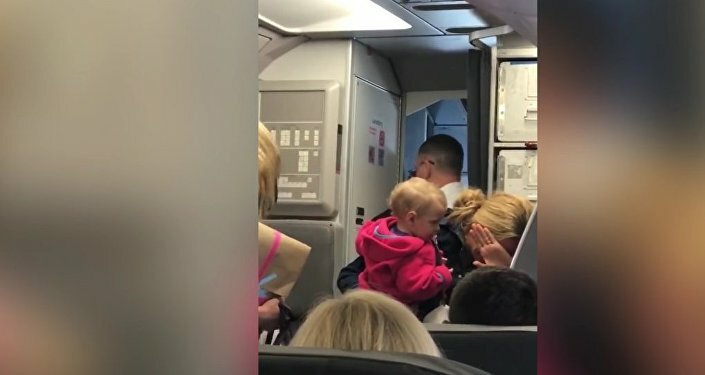 The woman had been told that it would be possible to keep the stroller in the cabin, if there was room, but the flight attendant simply grabbed it out of her hands, hitting her with it and narrowly missing her baby's head. As the aircraft sat on the tarmac in San Francisco, waiting to take off for Dallas, Texas, the incident escalated. The woman wept, other passengers got out their cellphones to document the episode, and a male passenger chose to invene, after which he was told to stay out of the emotional confrontation. "Try it. Hit me," grimaced the flight attendant to the male passenger in the video, after the latter sought to calm the hysterical women. The belligerent flight attendant was subsequently grounded for his lack of empathy and poor handling of an emotionally charged situation. American Airlines has apologized publicly. "We are deeply sorry for the pain we have caused this passenger and her family and to any other customers affected by the incident. We are making sure all of her family's needs are being met while she is in our care," the airline said in a statement. "The actions of our team member captured here do not appear to reflect patience or empathy, two values necessary for customer care," stated the airline. "In short, we are disappointed by these actions. The American team member has been removed from duty while we immediately investigate this incident." According to a passenger who witnessed the incident, "The flight attendant wrestled the stroller away from the woman, who was sobbing, holding one baby with the second baby in a car seat on the ground next to her," Jalopnik reported. The witness asserted that the aggressive flight attendant acted in a manner described as "violent" by grabbing the metal stroller from the tearful woman, hitting the mother with it as a result and coming close to hitting the baby. The woman and her children were deplaned and given another flight, this time in first class. The incident mirrors a similar situation that took place less than two weeks ago in which a passenger was dragged off a United Airlines plane and injured in the process by federal law enforcement after the airline arbitrarily chose to deny the seated passenger his flight due to internal United Airlines rules that put employee needs before those of paying customers.